Thermo Scientific Precision digital circulating water bath are microprocessor controlled and combine simplicity with excellent temperature uniformity. 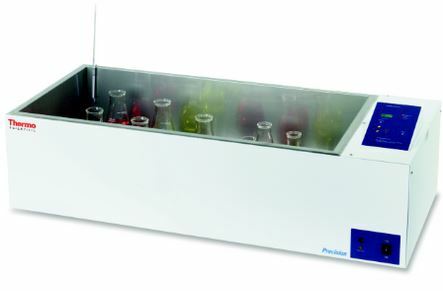 Ideal for applications where temperature uniformity and control are critical, such as enzymes and serology. Available in three different models, these high performance baths include a stainless-steel gable cover and diffuser shelf.